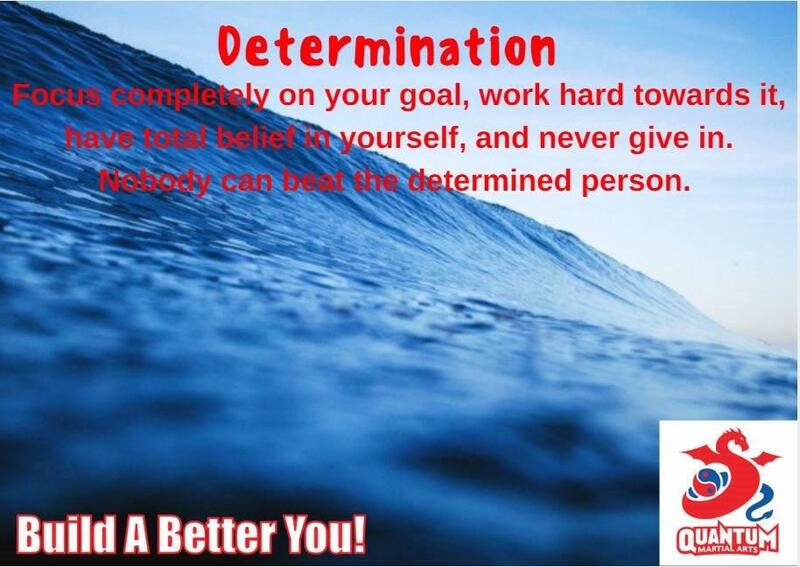 Determination is vital to achieving your important goals. I love my martial arts. However, I am not naturally talented at it. I just work long and hard to achieve what I have achieved. For gradings, I start the “extra sessions” sometimes years in advance. For international tournaments, I start training about 9 months out. My determinations does not allow me to leave anything to chance. Determination is not just working longer and harder than everybody else (although, I will do this). Determination is also be willing to do the extra work to “control the controllables”. In international tournaments, I may not be the most skilled contestant there. However, I always felt I was the fittest and more durable contestant there. In my first tournament in Japan, I fought my “clone” in terms of technique and strategy. We both went out there with the strategy to punch and leg kick each other into submission, and then get a few throws to win the fight (the Japanese love their throws). A lot of the Australian team supporters thought I lost the first round, as this guy was good. For me, I did not think I was losing that fight for a second. I knew I was fitter, more durable, and more determined than he. That all prevailed in the second round, as I was able to come over the top of him for the win. I had trained too hard and travelled too far to lose. That was all I kept thinking about during the fight. When Sensei Andy told me that the fight was a war and praised my determination, I felt ten feet tall. The above is not a boast. I could not walk properly for a week, as my opponent hurt me good because he was good. But, when you really want something, you are focused, and have the #courage to chase your goals, it breeds determination. Once you get a taste for that determined state of mind, you will never, ever quit. It will take two armies to stop you achieving your goals.